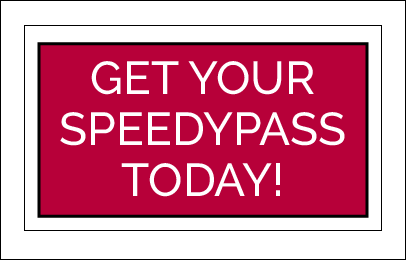 The unlimited SpeedyPass membership plan allows members to wash their vehicle once each day, everyday, for a one month period following activation / recharge from the date the plan was activated. Plan membership requires installation of a barcode tag on the registered vehicles inside, upper driver's side windshield. Plan membership must be purchased with a debit or credit card. The monthly rate for the first month is charged to the member’s card at the time of purchase (activation date). The monthly rate is then automatically charged to the same card on the same date each month (recharge date), or until the plan is cancelled or terminated. Cancellation can be completed at any Mr. Goofy’s Car Wash location or by emailing mrgoofyscarwash@gmail.com. Member will receive an email confirmation when cancellation is complete. No refund or credit is given for any unused portion of a plan due to the cancellation or termination of membership. Member must update Mr. Goofy’s Car Wash with any account information changes (telephone, credit card, email, etc.). If Mr. Goofy’s Car Wash is unable to process a monthly recharge to a member’s credit or debit card the plan will be deactivated. Mr. Goofy’s Car Wash will make every effort to contact the member to resolve the issue. Membership plans may not be combined with any other coupon or offer. Rates, terms and conditions are subject to change. Changes in rates, terms and/or conditions will be posted on our website, www.mrgoofys.com, 30 days prior to the effective date. Changes to plans will become effective on the member’s next monthly recharge date. Mr. Goofy's Car Wash will make every effort to be open during normal business hours. Member understands that circumstances may affect the availability of services, including equipment failure and maintenance, inclement weather, and power failure. Barcode tags remain the property of Mr. Goofy’s Car Wash and must be surrendered upon request. Mr. Goofy's Car Wash cannot be held responsible for Non-Factory equipment, previous damage or vehicles older than 10 years. Restrictions apply to professional, commercial, delivery, funeral, police vehicles, and taxicabs (see the manager for special offers).